Home » Features » 15 Of The Most Underrated Albums Of 90’s Thrash! Thrash….there’s a lot of it out there! And, it’s very easy to overlook the lost classics amongst the onslaught of The Big 4 etc. 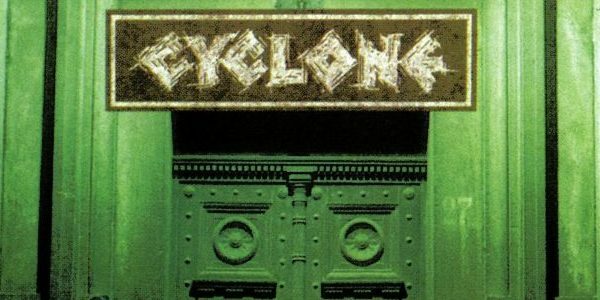 Cyclone‘s sophomore effort is the greatest thrash album ever produced by a Belgian band, so you probably should give it a spin, right?! Suffering from severe underexposure dented Cyclone’s chances of escaping the underground but Inferior To None (a convincingly apt title if ever we’ve head one!) should have been the album to achieve it. Embracing a technical thrash aesthetic, Cyclone upped their game considerably with some of the tightest playing around and a gamut of ear-pleasing solos. Four years on from their Brutal Destruction debut and these guys had used the time well, finding their groove and improving on every aspect of their sound with universally stunning results. Inferior To None is perfect thrash. Why isn’t it more well known? Go figure! The perpetrators of committed German thrash worship! 4 Comments on 15 Of The Most Underrated Albums Of 90’s Thrash! An impressive list with well-articulated descriptions and reviews. As a long time thrasher myself, I really dig your descriptions and depth of knowledge in this article. Awesome work! And thanks for turning me on to somebands I otherwise forgot or did not know of.